Coincidentally, I have the following 2 pictures on my FB new timeline newsfeed. 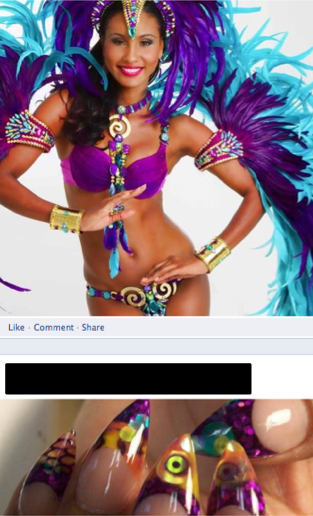 A picture of TRIBE 2012 South Beach costume which a friend is selling a female costume, and beneath it my profile cover photo of the new nail trend, stiletto nails. 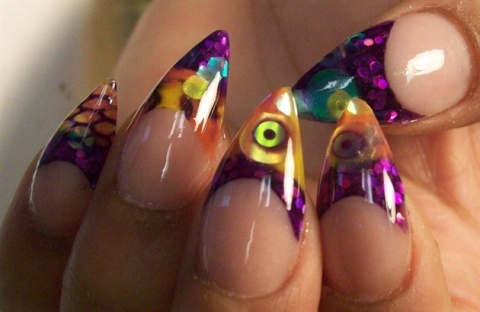 The design reminds me of fish scales. So pretty the two, I had to share. 'Cause they make the perfect combo!